This month Sid Taylor is featured. Sid is a 2015 UI&U graduate with a Master of Science in Organizational Leadership (MSOL). He is a passionate advocate for youth and families. For the past 20 years Sid has worked in a variety of leadership roles to provide opportunity for those in need. Below are Sid’s insights on leadership. A. Leadership is the skill of inspiring others to see a vision and become so motivated that they actively seek ways to turn the vision into a reality. A. In many of my experiences as a leader I have found the most success by showing people how to look through a broader scope. Instead of simply seeing what is in a given situation, my approach is to show what can and should be. People often don’t realize how close the solution is to them until they look through this type of lens. A. There are so many aspects and styles of leadership that it is very difficult to select any one person. I would have to say that anyone that uses the servant leadership approach such as Martin Luther King, Mother Teresa, Dalai Lama, etc., would be high on my list. A. I first felt that I was a leader when I realized that the ideas I shared with others became less focused on myself and more focused on how they would lead to positive change for others. For the past 20 years, Sid Taylor has worked with youth and families in need throughout the greater Cincinnati area. 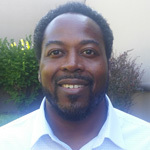 Sid spent the last seven years in various roles at Lighthouse Youth Services, the last three of which he served as Director of the Lighthouse Youth Crisis Center. For 12 years prior to that, Sid led a team of staff at the local group home organization, Youth Inc. focusing on the 10-17 year old at-risk adjudicated population. Sid is now Chief Operating Officer at Boys Hope Girls Hope of Cincinnati overseeing their mission to help academically capable and motivated children-in-need meet their full potential and become men and women for others by providing value-centered, family-like homes, opportunities and education through college. Sid who is happily married with two children graduated with a BA in psychology from Ashford University before earning his MS in Organizational Leadership from Union Institute & University.